300-Hour Advanced Amara Teacher Training! Further develop your unique voice and style as a yoga teacher. Refine and expand on the foundations of your yoga training, teaching and experience! The Amara 300-Hour Advanced Teacher Training Program will help you expand your skills and insights and incorporate creative energy into your practice and your teaching. The advanced aspect of this program is not about advanced postures, but about moving beyond basic knowledge and into a deeper understanding of the many paths and layers of yoga. This depth of experience will help you transform your teaching as well as your personal practice. Our teaching team will guide you in the practices that are at the very center and heart of yoga and prepare you to teach your students with compassion, confidence, and skill. Our 300-hour teacher training is offered in 7 modules. Modules will either be scheduled on weekends or for 6 consecutive days. Each module is 48 hours of direct teacher contact and 12 hours of homework and observing/assisting/teaching outside of class. Each module can be taken separately as continuing education. To be 300-hr certified you will need to complete a 200-hr Yoga Alliance training first, then take 5 of the 7 modules offered. Amara is a registered yoga school with Yoga Alliance, so that graduates of our 300-hour YTT programs may register for RYT-300 status, and current RYTs may use these modules as continuing education. For inquiries about any of our professional training programs, please email info@amarayoga.com. Luna Pierson (E-RYT 500) began her yoga journey in 2009 here at Amara by helping her mother Kathryn Fitzgerald open the studio. She now lives and teaches yoga full time in Los Angeles, California and specializes in teaching the art of creative, intelligent, dynamic and safe sequencing. Luna studied with her mentor Kia Miller at Yoga Works in Santa Monica for both 200 and following 300 hour teacher training, and has completed additional Wanderlust teacher training. She teaches at some of the best studios in LA, including Wanderlust Hollywood, Equinox LA, and Roam LA. Luna brings with her a unique understanding and insight into the most innovative, transformative, fun and exciting ways to develop and teach yoga classes to every body. Linda Lehovec (E-RYT 200 ) has been practicing yoga since 2000. A dancer and choreographer, Linda has been teaching yoga since 2004 at the University of Illinois where she is currently on faculty in the Department of Dance and at Amara for over 9 years. Linda will be teaching principles of anatomy, asana, how to observe bodies, and hands-on adjustments. Jodi Adams (RYT 200) has been practicing yoga since 1991. She completed her 200 hour teacher training and received her RYT-200 certification in 2011 at Focus Yoga in Brookfield, Illinois and is registered with the Yoga Alliance. Jodi has also studied with distinguished teachers Rich Logan, Gabriel Halperin, Jim Bennitt, and Sarah Ivanhoe, focusing on the subtle body, adjustments and anatomy, Iyengar, Tantric, and Yin/Yang Yoga. Jodi enjoys teaching gentle and restorative style classes, as well as vinyasa flow classes with an emphasis on core work. Miette Boyer (RYT 200) has been practicing yoga for over five years. From the very beginning she experienced the healing power of yoga, both physically and mentally. As an artist her passion is to explore and express her inner world through intricate, meditative drawings. In 2018 Miette received her RYT 200 from Amara Yoga & Arts in Urbana, Illinois and is currently teaching Yin Yoga at Amara as well as in her hometown, Tuscola, IL. 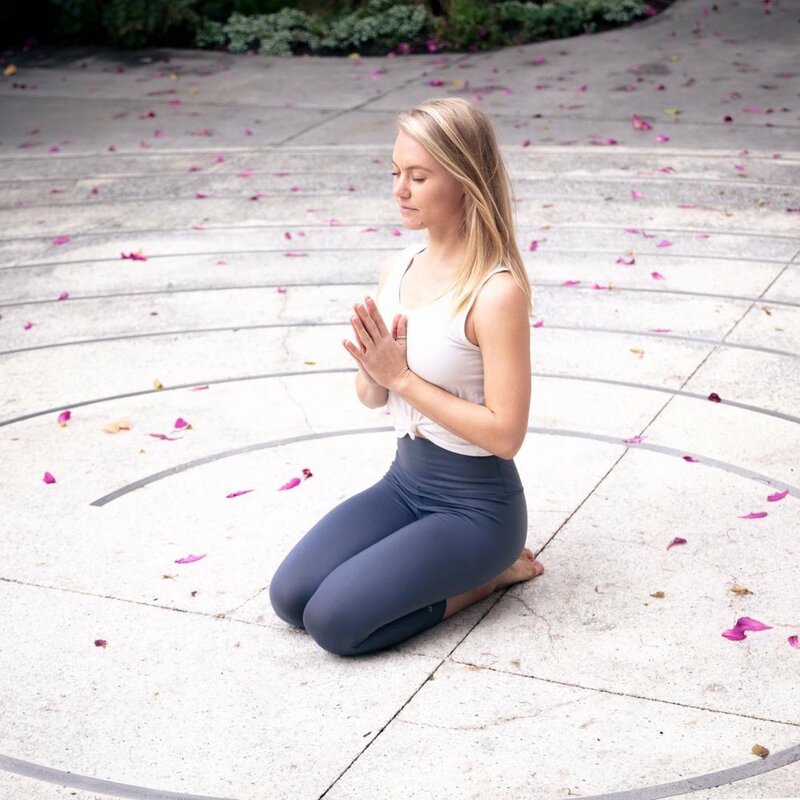 Miette is passionate about Yin Yoga, and creating a space in which students can experience this meditative mindful practice. Off her mat, Miette enjoys pursuing her love of creating, and teaching others her methods of artistic & imaginative design. Students will learn how to creatively and safely plan, practice, and refine vinyasa style classes while growing their own unique style and voice. They will work on getting more comfortable with their verbal cues, physical adjustments, and creating an overall gratifying experience for their students. Students will learn many pranayama, mantra, and meditation practices, their effects on the practitioner, and how to pass those practices on to their students. Students will learn through practice and discussion what prana is, what the vayus are, and what the nadis are so they have a deeper understanding of prana and pranayama as a whole. Students will develop a deeper understanding of anatomy and how it relates to and defines how individual bodies can safely move and hold different asana positions. This training will emphasize that not every body is the same, but that there is always a way to access the body with variations within poses. Students will learn to break down poses, use props and hone in on specific details of each pose to teach safe alignment for every body type. They will understand actions within each pose more deeply, and that every action has a counter action to be aware of so that ultimately they find a sense of balance in each pose and the class as a whole. They will more fully understand the effects of each action and the benefits of each action within each pose. This will be an overview of Ayurveda so that the practitioner can understand how to cultivate a sense of balance with their mind, body, and spirit as well as the meanings, symbols, and descriptions of each 7 chakras, how to know when a chakra is out of balance, and how to help a chakra move towards more of a balanced place. A passive practice, Yin Yoga involves variations of seated and supine poses typically held for 3 to 5 minutes, accessing deeper layers of fascia. Students will learn how to practice and teach yin yoga and myofascial release. Students will learn how to design kids yoga classes based on developmental and engaging age appropriate play and practices. They will practice teaching kids of all ages with intelligently and creatively designed classes. Our program teaches structure – classroom management, lesson plans and curriculum creation- along fun energetic games and play. Learn all the tools of kids yoga and practice teaching them, There are no prerequisites other than the desire to teach children, a practice of your own and a love for yoga. The students from this module will not be eligible for a Kids Yoga Teacher Training certificate, but will understand how to teach kids yoga on a deeper level. A $500 deposit is due upon enrollment to hold your spot. Your payment is due in full by the early registration date in order to receive the discounted rate. Full payment is required a week before the start of the program unless a payment plan has been previously arranged. "Teacher Training at Amara has really stretched my brain muscles as much as my body. I walk away from training sessions with the realization that there is a deep reservoir of yoga knowledge that I need to explore further. Luna, Linda, Grace and Laura have taught us how to teach yoga AND about the depth of yoga practice. "